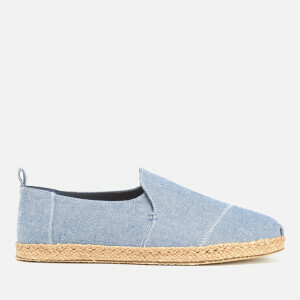 Men’s slip-on espadrilles from LA label, TOMS. 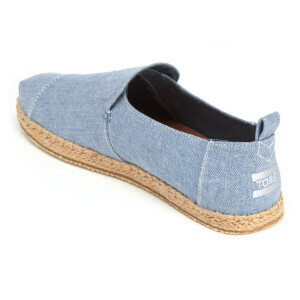 Crafted from blue canvas, the ‘Deconstructed Alpargatas’ pumps comprise a rounded toe with TOMS signature toe-stitch and a removable insole. 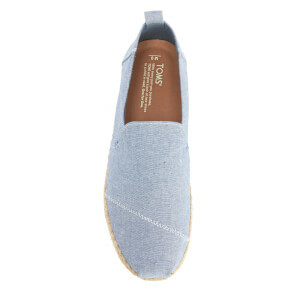 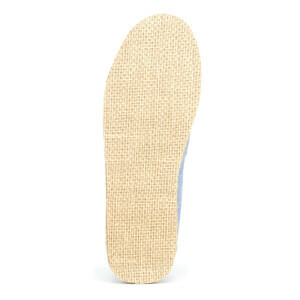 Placed upon a flexible rubber sole with signature rope detailing to the midsole, the shoes are complete with the iconic TOMS label adorned to the heel and a pull loop for easy entry.